For your vacation, do you plan to stay in the heart of the Smoky Mountains of Tennessee? Hundreds of our guests do every year! One of the best ways to experience the fun attractions, outdoor adventures, and natural beauty of the Smokies is by renting Gatlinburg area cabins. With great locations, these Gatlinburg chalets, vacation rentals, and cabins are close to the best things to do and see in the Smokies. Whether you plan on visiting Ripley's Aquarium of the Smokies, the Mountain Mall, or the national park, these downtown Gatlinburg cabins help to save you time and money. After all, convenient access to local attractions, restaurants, and shows is key for your family, group, or couple's retreat being a success! No matter what you are looking for in your vacation, we are well prepared to provide a Smoky Mountain cabin to fulfill it! For guests with dogs, we provide pet friendly Gatlinburg area cabins for visitors so they can bring furry friends along to the Smokies! There are also many vacationers who only want peace, quiet, and relaxation during their stay in Gatlinburg. For these guests, we offer secluded cabins that are tucked away in beautiful mountain settings. The only raucous sounds you will hear at these private cabins are the songs of chirping birds or a symphony of crickets in the summer time. On top of these features, guests of our Gatlinburg area cabins are taken in by beautiful Smoky Mountain views that can be enjoyed from the comfort of cabin deck, porch, or living room. Imagine the stress melting away while gazing off of your stunning mountain vista or a peaceful cabin porch perched in the trees. These rentals provide a cozy place for families and groups to unwind and reconnect for truly memorable vacations and occasions. These cabins feature most or all of these in-cabin amenities so that you can enjoy a truly fun-filled and stress-free vacation. Whether you are unwinding in your Gatlinburg area cabin's hot tub, contemplating a Smoky Mountain view from a back porch, or having a ball in the game room, these cabins can host special memories for years to come. When you book online with Cabins USA Gatlinburg, you can save 15% on your Smoky Mountain area cabin rental booking. Be sure not to miss out on these excellent vacation rental savings for your upcoming visit to the Smokies! This one bedroom cabin with jacuzzi, hot tub, and more in the Gatlinburg that gives you comfortable amenities and a convenient location. Enjoy romance and relaxation at “Smoky Mountain Time!” This cheap honeymoon cabin in Gatlinburg offers visitors a great location and a cozy cabin interior all for a great price! Enjoy staying in a log cabin with a mountain view that goes on for miles and miles when you book "Charming Charlie's Cabin" with Cabins USA Gatlinburg! Enjoy a getaway to a 2-bedroom Gatlinburg cabin with a prime location near the Gatlinburg Welcome Center. Stay close to Ripley's Aquarium and the national park! Located only a short drive from Gatlinburg, you'll find "Making More Memories," an affordable 2 bedroom cabin with a hot tub, pool table, and a lovely wooded location! Searching for a private Gatlinburg cabin rental, look over our 3 bedroom 4 Seasons Gatlinburg cabin for your cabin vacation in the Tennessee Smoky Mountains. "Skiing With The Bears" is a beautiful 3-bedroom cabin in Gatlinburg that's only minutes away from Ober Ski Mountain, Downtown Gatlinburg, and the national park. Downtown Gatlinburg condo! Less than 5 minutes from the Aquarium, Ole Red Restaurant, shops and more! "Bear Crossing" is a beautiful 4 bedroom cabin just off of Ski Mountain road in Gatlinburg, TN! Reserve this rental with pool access and a hot tub & save 15% today! Come experience "La Dolce Vita," a 4 bedroom cabin in Gatlinburg that's perfect for a family vacation or a getaway with friends in the Smokies! Looking for a Gatlinburg cabin that has it all? Reserve "A View From Above," a luxury 5 bedroom cabin with a theater room, game room, pool access, and view. 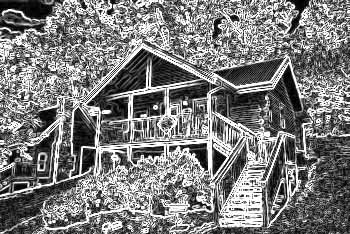 Book your very own premium Gatlinburg cabin for rent in the Glades area near the Arts & Crafts Community! "Elkhorn Lodge" boasts 5 bedrooms for 14 guests! Come experience "Hearts Desire," an affordable 5 bedroom cabin that's pet friendly and sleeps up to 14 guests in comfort. Book today & save 15% on your rate! Stay at a Gatlinburg cabin for groups you won't soon forget! "Royal Vista" offers a beautiful mountain view, room for 20 guests, and luxury amenities. "Pool And A View Lodge" is a luxurious cabin in Gatlinburg with an in-cabin pool, theater room, game room, and a view. Book your 6-bedroom cabin & save!